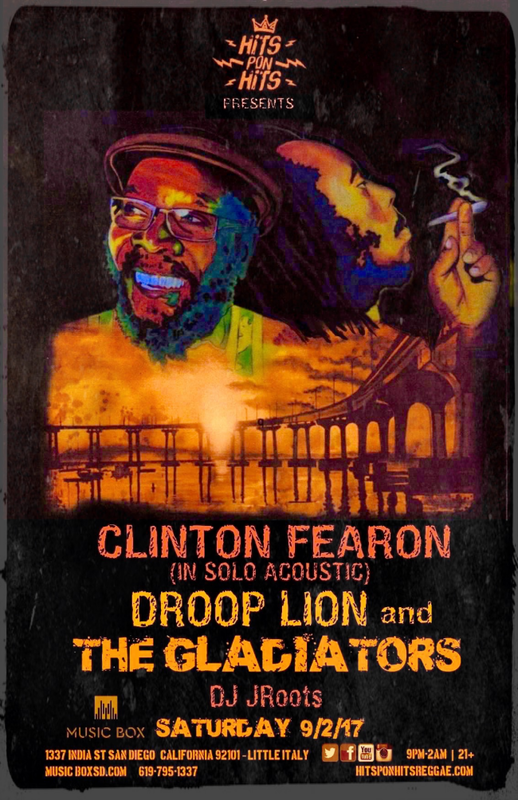 If you will be in Southern California on Labor Day weekend and would like to see some reggae history we invite you to come check out Clinton Fearon, Droop Lion and The Gladiators at the Music Box. This will be the only show that Clinton Fearon and The Gladiators will be booked together. Come support roots reggae music and dance your troubles away. Officially 7 days till Clinton Fearon, Droop Lion and The Gladiators take the stage in what will most certainly be reggae history. We look forward to seeing everyone there! !